Marshall M. Fredericks Sculpture Museum | Study for "The Boy and Bear"
While there is no documented correlation between Rudyard Kipling’s boy (Mowgli) and bear (Baloo) in his famous novel The Jungle Book (1894) and Fredericks’ The Boy and Bear, most note great similarities. Fredericks love for children is clearly at the heart of this sculpture. The bear’s enormous body compared to the frail boy reminds the viewer of man’s special bond with animals. The bear with his massive head lowered, ears upright, brow furrowed and gentle smile reaches out to the boy and each viewer in friendship, and appears to offer to lend an ear to listen. Fredericks had created a special relationship with The Boy and Bear, but has also left open the possibility of relationships yet to come. The Boy and Bear was later cast in bronze and donated to Saginaw Valley State University where it resides today in the Marshall M. Fredericks Sculpture Museum’s sculpture garden. 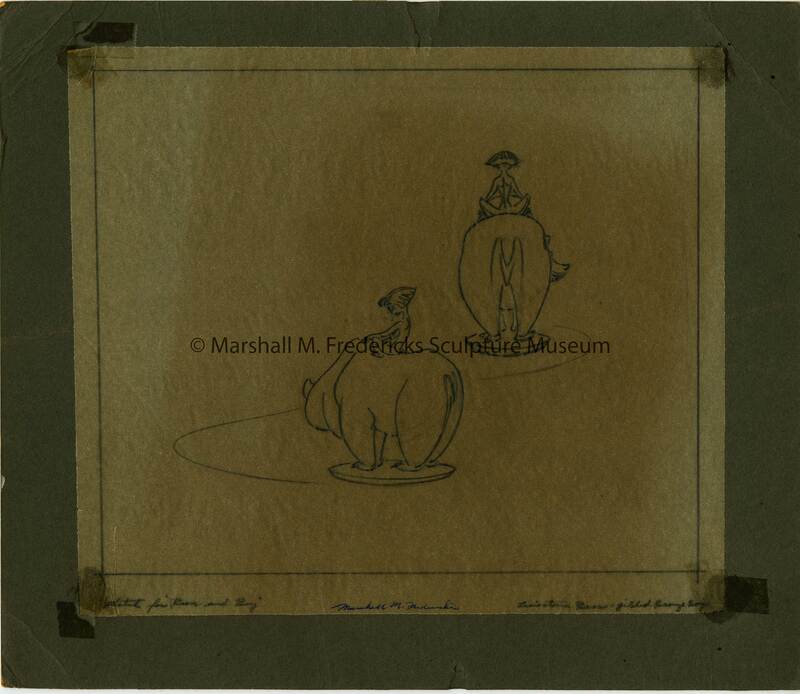 Fredericks, Marshall M., 1908-1998, “Study for "The Boy and Bear",” Marshall M. Fredericks Sculpture Museum, accessed April 22, 2019, http://omeka.svsu.edu/items/show/6436.